Marvin Schildkraut writes in with a very common question about what upgrade choices to make when purchasing a new Mac. He’s considering extra RAM and a Fusion Drive. The cost of these two options is not burdensome. However, I have been advised that the Fusion Drive can cause problems and is very expensive to repair. How likely are headaches? It costs $200 to upgrade an iMac from 8GB to 16GB at the time of purchase, and $100 to move from 1TB hard disk drive to the same rated capacity Fusion Drive. On memory, having 16GB with macOS is very, very nice in terms of not waiting for the computer to chug through moving stuff in active memory around while you’re trying to get things done with more than a handful of programs launched. Browsers especially can consume a lot of active memory. Since Mavericks, OS X and then macOS has managed memory much better, including using memory compression, which revitalized a 4GB MacBook Air I owned when Mavericks shipped. But 8GB seems like a baseline today, and 16GB future proofs your Mac. Given a Mac can run for a decade or longer, and even macOS Sierra allows upgrading Macs all the way back to 2009 and 2010, it’s smart to spend the dollars now to extend its utility later. For Macs that you can swap out or add memory to, it’s much cheaper to do it yourself. It’s about $100 to upgrade to 16GB of RAM on most current iMac models, and $200 would push you into the professional realm of 32GB, useful for high-intensity video, graphics, and audio apps. 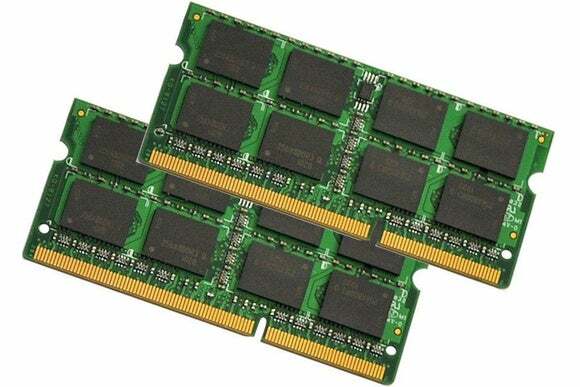 With a Mac that can only be fitted out with a specific amount of memory when purchased, because the memory is permanently attached to the main circuit board, I’d definitely aim for a 16GB configuration unless it’s truly cost prohibitive. You’ll get the benefit sooner and later. More RAM makes up a bit for a slower hard drive, too. Apple somewhat absurdly still sells several iMac models with a 5,400rpm hard drive, which already seemed slow many years ago. Higher-end iMacs have 7,200rpm drives. To make up this gap, you can spend that aforementioned $100 and gain the speed of a small solid-state drive (SSD), which Apple uses to hold the operating system and as many frequently accessed files as possible. It’s not really sensible for anyone but an expert willing to deal with the consequences to create their own Fusion Drive, and spending $100 to get that performance boost is definitely worthwhile compared to other alternatives, like Apple’s $500 upgrade cost to go from a 1TB hard drive to a 512GB SSD. While I do get a lot of reports from people having trouble with Fusion Drives, it’s true that people only email Mac 911 to report trouble. I can’t see that Fusion is a general problem, but it can be a hassle if something disrupts either drive or its setup. Having proper backups through Time Machine and third-party software is always a good idea, and will serve you as well with a Fusion Drive as it does with a single hard drive or SSD.